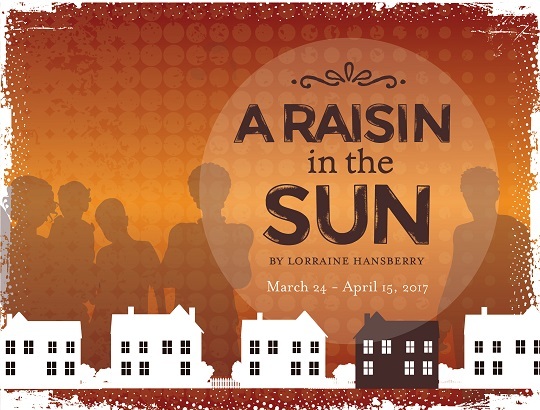 Cincinnati Shakespeare Company: A Raisin in the Sun is a classic play, but it’s so topical too, as it deals with issues that are still so relevant to us. What’s it like to work on a play with that balance? Geoffrey Warren Barnes II: You know, Lorraine Hansberry was only the fifth woman to win the [New York Critics’ Circle Award], and the first African-American woman to win it. What she accomplished is still very relevant to today. There’s so much in the themes and the story of the play that is relevant, I think it’s easy to look at that and forget about the playwright, past her name. Also, there’s a lot of things in this play that can bring people together. People of lots of backgrounds know what it means to be poor, what it means to struggle, what it means to pay bills, but in this story, there’s an extra layer, in being judged for the color of your skin. That’s relevant because we still see people on the outside, people having to overcome additional obstacles to achieve the American dream. In Raisin ... the American dream is sold as this ideal that everyone can obtain with the same ease. What I hope the audience realizes is that even when the Youngers achieve their American dream, there’s still dangers to it. They had to go through extra difficulties to achieve their dreams, and even then it may not be all rainbows and puppy dogs -- it may even be more dangerous for them than where they came from. That still happens for people today. The play was written fifty-some years ago and Lorraine Hansberry was a visionary, in my mind. She kind of saw the future, she was a revolutionary. I wish we still had her today, to see what else she would have come up with. CSC: What did you know about A Raisin in the Sun before you started working on it? GB: I mean, this is on my bucket list, so I can scratch that off! I’ll always remember reading it as a student, and of course I saw the movie with Sidney Poitier. But I didn’t realize when I watched the movie when I was a kid that there were some scenes from the play that were omitted. There’s a scene with Walter Lee and his son that was left out of the film that really illustrates the kind of man that Walter is. He’s just a good human being, you know? He has his issues, but he’s not a bad person. He’s got good values, and I think that’s something that’s very important to see that Walter is really trying to be a good father. He’s trying to pass down his knowledge about the world and his love to his son. You know, reading or studying it academically is one thing, but actually living it, getting to be part of a real breathing production that brings the text off the page, it’s a completely different experience. You go through a rollercoaster of things. That’s what I’ve learned about Walter – he’s a gentleman, he always thinks he’s doing good, but he doesn’t realize that the decisions and the choices he makes are hurting his family. He doesn’t know that! He wants his family to survive and he’s doing it in the only way he knows how, based on the love and care that he’s been given. That’s all he has to go on. That really made me open my eyes to the 1950s and the boundaries and the pressures of the outside world bearing down on Walter but also the pressures from his family. The world is putting him down because of the color of his skin, but he feels pressure from his family because they’re protecting him. Walter makes some bad decisions, but he comes to realize that keeping his family first is more important to him. CSC: So now that you actually get to bring these words off the page, what’s been challenging about that? GB: I’ll tell you this – I’ve been doing a lot of Shakespeare lately, and although I’m not a stranger to contemporary works, with Shakespeare, especially if you’re speaking verse, there’s a rhythm you can hold onto. With this text, there’s really not a set rhythm. There’s a lot of subtext here, and compared to Shakespeare, you need to do as much or maybe more research with the text. There’s a certain type of language that is used in the play, and you really have to dig deep to embrace it and make it come to life, and sometimes you don’t have anything to hang onto in terms of rhythm or cadence. There is a cadence, but it’s sometimes uneven. Walter Lee will stutter – well, like I’m stuttering like now, or he’ll repeat himself, and that happens for a few reasons. Rather than connecting to a rhythm, I have to connect to all these other underlying circumstances and discover why he stutters, or repeats himself, or jumps from one subject to another at the drop of a hat. And that’s really hard, when you can’t hang onto the rhythm of a text like you can in Shakespeare! CSC: Do you think that your comfort with working with the complexity of classical texts gives you a leg up in the work on this play? Or is it so different that you’re starting from scratch? GB: Oh, I think the denseness of Shakespeare helps, in terms of changing beats or making shifts. That definitely helps. I’ve taken a lot of tools that I’ve used in Shakespearean texts to help me through this play. The quickness of Shakespeare! That helps a lot. There are definitely skills that apply to Shakespeare that are helping me out here a little. But something like Raisin ... is definitely a different beast. CSC: So past those challenges, what about working on this production of A Raisin in the Sun has surprised you or brought you joy? 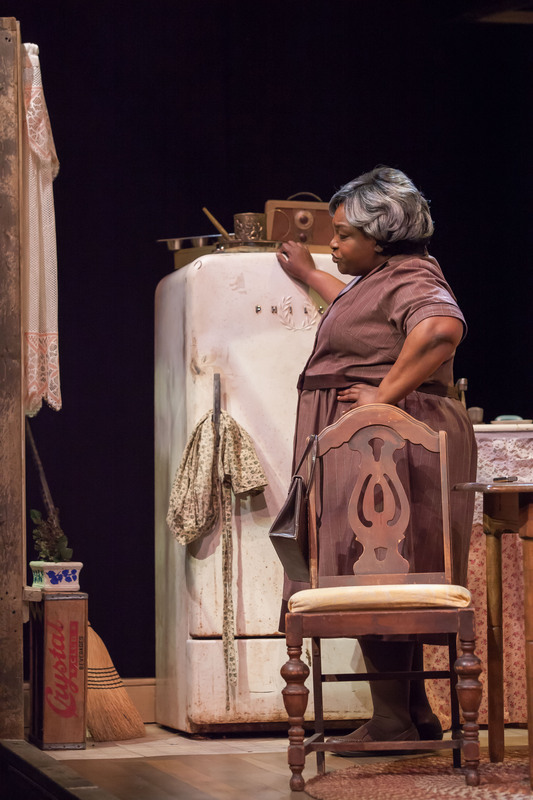 GB: When people think about A Raisin in the Sun, they think of it as this huge drama. But I’ve found that it’s also a comedy! There’s this family, and they know the odds are stacked against them. And a lot of times, when odds are against you, the best way to survive that is through laughter. A person can only feel sad for so long, you know? And you see a lot of that in this family. They all have each other, and when times are bad, they look to each other to lift themselves up. You see a lot of that in this play, and hopefully you’ll come away a little confused as to whether it’s a comedy or a drama, because there are so many shifts where we’re having a great time, and then something shifts and we’re in despair. So yeah, I was really surprised by the humor in this production. CSC: What do you hope audiences will be thinking about on the drive home after they see this show? GB: I think they’ll realize that they have a lot of things in common with the Younger family! 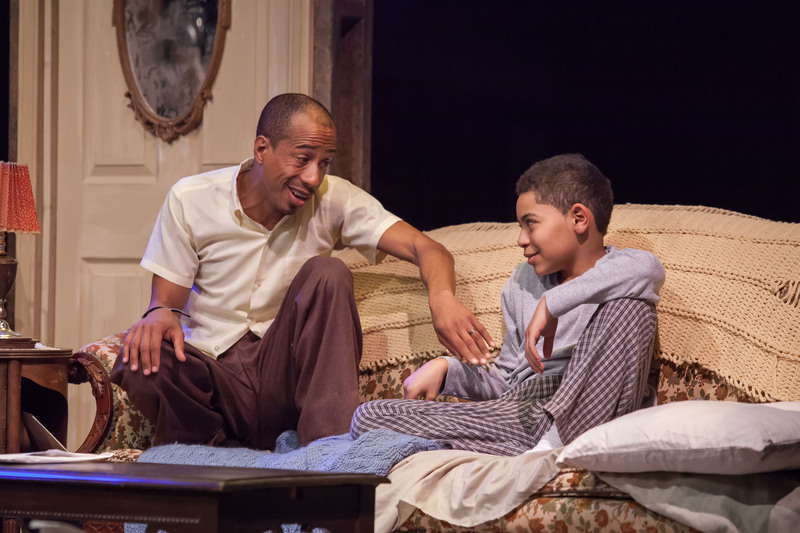 There are so many issues that this play deals with – I think everyone has a lot in common with the Youngers. Also, the play doesn’t have a happy ending. The family achieves their dream, but that doesn’t make everything happy. It doesn’t solve everything. They still face problems – maybe even bigger problems as they move on. And that’s reality, smacking you upside the face. Getting what you want doesn’t solve your problems! CSC: Do you have a favorite line in the play? GB: In the first scene, I’m trying to tell my wife about my plan for this money that’s coming, I’m trying to sell her on my plans for it, and she’s avoiding the subject and she’s cooking eggs. I’m trying to convince her and she’s just trying to get me to eat breakfast, saying “just eat your eggs, Walter,” and I slam down the plate and I say “Damn my eggs! Damn all the eggs that ever was!” And I love that line because it’s so telling about the dynamic between those two in that moment, and it also is so telling about the conversations that have been going on between those two for a while. It lets you imagine the ways they’ve communicated about what they want and what their goals are. CSC: Thank you so much for talking to us! Is there anything else you’d like to say about this play? GB: I’m so excited for this production. I think it’s fantastic – the set, the cast, the director. And I get to eat real eggs and drink real coffee onstage! I’m excited for that, too. Lorraine Hansberry was born on May 19, 1930, in Chicago, Illinois. Her father, Carl, was a successful real estate broker and founder of Lake Street Bank, one of the first banks for black people in the region, and her mother, Nannie, was a schoolteacher; Lorraine was the youngest of their four children. During her childhood, the Hansberrys were prominent in African American society, and many famous black American leaders, such as W.E.B. DuBois, Paul Robeson, and Langston Hughes, visited their home and maintained friendships with Lorraine’s parents. Hansberry dropped out of college and moved to New York City to work as a writer and associate editor for the actor and activist Paul Robeson’s progressive black newspaper, Freedom. She also wrote about feminism and homophobia for the magazine The Ladder. Many of her articles discussed her lesbian identity, but she wrote under a pseudonym and was never publicly “out” as a lesbian during her lifetime. She was married to a man, Robert Nemiroff, for several years, and they remained friendly and continued to work together even after their divorce. A Raisin in the Sun opened on Broadway on March 11, 1959, and was a great success, running 530 performances. It was the first play on Broadway written by a black woman, as well as the first with a black director (Lloyd Richards). The play was nominated for four Tony Awards: Best Play, Best Actor in a Play, Best Actress in a Play, and Best Direction of a Play, and also won a New York Critics’ Circle Drama Desk Award for Best Play of 1959. 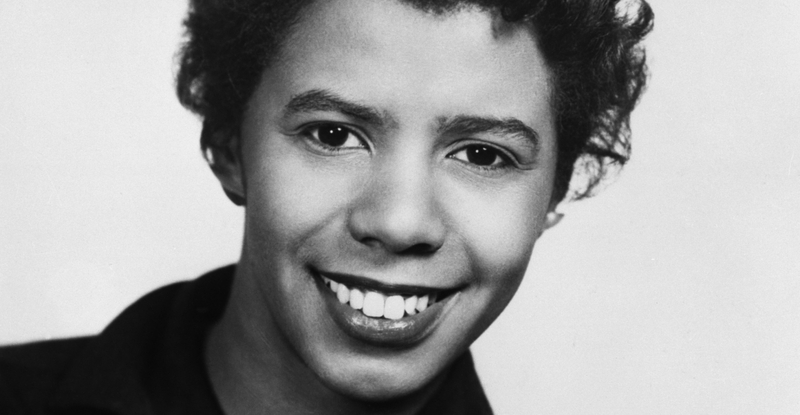 Lorraine Hansberry was the first black playwright, the fifth woman, and the youngest American to win that award. Her second play, The Sign in Sidney Brustein’s Window, was less well-received, earning mixed reviews from critics. It closed on Broadway on January 12, 1965, the night that Hansberry died of pancreatic cancer at the age of thirty-four. After her death, her ex-husband adapted a number of her writings and interviews into To Be Young, Gifted, and Black, which ran off-Broadway for eight months. Since then, A Raisin in the Sun has been consistently recognized as one of the great classics of American drama, and has been revived numerous times, and has been adapted into films, spinoff plays, and a musical. In 2010, the Hansberry house that sparked the Hansberry vs. Lee court case was recognized by the Chicago City Council as a historical landmark. The five members of the Younger family live in a dilapidated two-bedroom apartment on Chicago’s South Side. The patriarch of the family, Big Walter, has just died, and the family is awaiting the ten thousand dollar life insurance check that is due to them. His son, Walter Lee, wants to invest the money into a friend’s plan for a liquor store, but Big Walter’s widow, Mama, wants to spend the money to buy a house for the family. 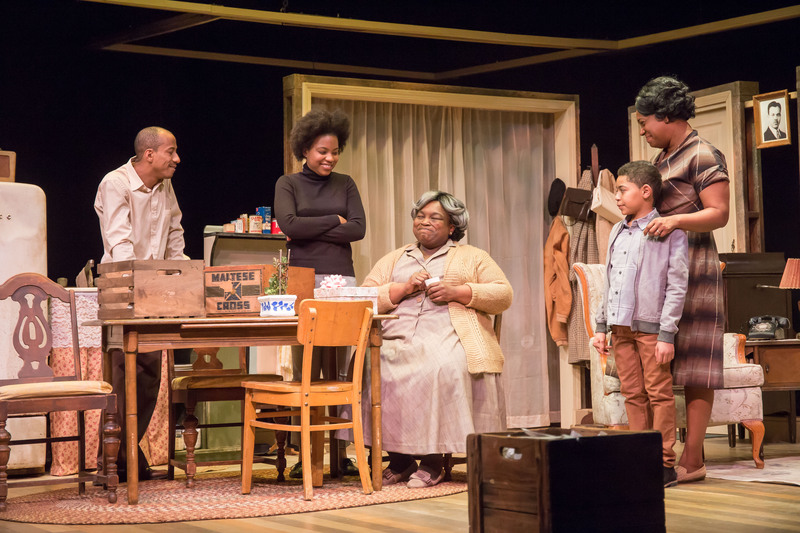 Mama uses part of the money to make a down payment on a house, and she picks a house in Clybourne Park, a white neighborhood, for the practical reason that the properties are cheaper than in an all-black neighborhood. She decides to split the remaining money between her two children: Walter Lee will get a portion to invest in the liquor store with his friend Willy, and Beneatha, who dreams of becoming a doctor, will get a portion to pay for her education. Ruth, Walter Lee’s wife, announces that she is pregnant, and so Walter Lee secretly takes all the life insurance money and passes it to Willy, reasoning that the returns on the investment will bring in more money to support the family; Willy, however, was running a scam on Walter Lee and absconds with the money, depriving both Walter Lee of his dreams of business ownership and Beneatha of her funds for medical school. Meanwhile, Mr. Lindner, a resident of Clybourne Park, shows up at the Youngers’ home. He is concerned that integrating the neighborhood will cause racial unrest, and offers to buy them out of their new home. Walter Lee accepts his offer as a solution to the family’s financial disaster. While this is going on, Beneatha is struggling to establish her identity as a young black American woman. Her two boyfriends represent for her the paths she considers: the wealthy George Murchison is an “assimilated black man,” who looks down on the working-class Youngers, while the Nigerian student Joseph Asagai teaches Beneatha about her African heritage and encourages her to eschew the expectations of white American culture. When Beneatha is distressed at the loss of the life insurance payout, Asagai reproaches her for her entitlement, and encourages her to find alternative ways to fund her goals. Walter Lee reconsiders the offer from Mr. Lindner, and backs out of the agreement to sell the family’s new house. He says that his family is proud of who they are and will try to be good residents, but they will not give up their dreams of a home of their own to avoid potential tension with their white neighbors. As the play closes, the family leaves their old apartment for the excitement and uncertainty of their new life. Want to learn more about this groundbreaking play? Watching the Obamas Watch "A Raisin in the Sun", The New Yorker, April 12, 2014. Michelle and Barack Obama allegedly lived nearby the neighborhood in Chicago from the play!